The community platform for the future. The internet was built for communities. But, as the web has changed and improved radically, community software has hardly improved since the heyday of messageboards and IRC. Spectrum makes it easy to grow safe, successful online communities that are built to last. 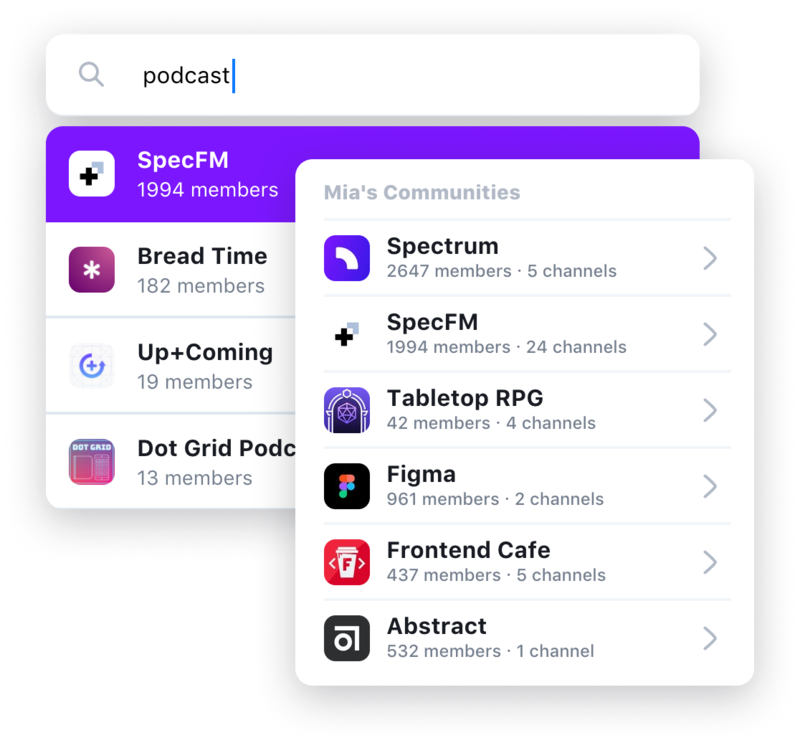 By building on Spectrum, communities become easily discoverable through search, curation, and even other community members. It also means no more managing multiple logins or playing whack-a-mole with different notifications and preferences. Everyone wins! Find a community for you! Try searching for topics like “crypto” or for products like “React”! Conversations on Spectrum are real-time chat, just like your favorite messaging app. But on Spectrum, conversations continue to provide value to more and more people over time. Every conversation gets a unique link to make it easy for people to discover, share, or save for later. Spectrum is definitely a product worth looking out for. Huge fan and been lovely to be a part of the unique communities.